Spend time with a beekeeper and you might realize they see the world a little differently than the average farmer. Instead of inspecting soil for its richness or gazing out at rolling vineyards, the beekeeper is attracted to land with a mixture of plants that allow their colonies to thrive throughout the year. In short, a beekeeper looks for land that will sustain their bees and, by extension, their bottom line. This view of the landscape gives beekeepers a unique appreciation for sustainability as defined by the needs of bees. 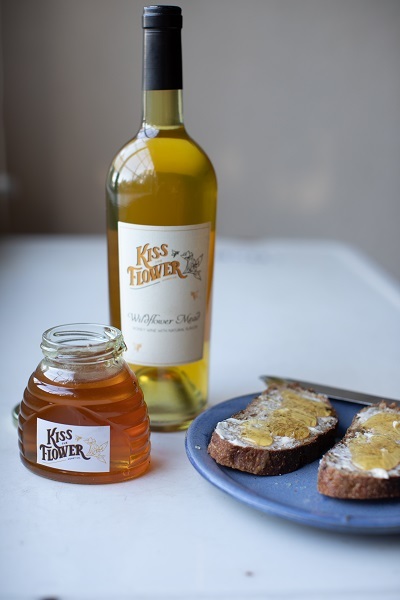 In a region where wine, beer and cannabis are economic staples and sustainability is a buzz word, two local honey wine producers are trying to market the world’s oldest drink as the region’s newest environmentally friendly craft beverage. 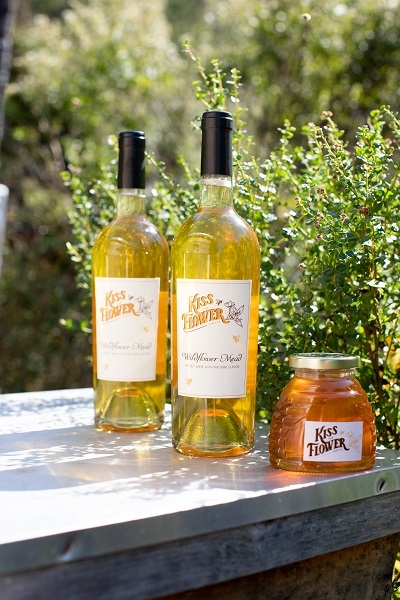 The two Sonoma County producers–Bee D’Vine and Kiss the Flower Honey–point to the lack of need for monocrops, bees’ role in encouraging biodiversity, and the possibility of providing local agricultural jobs as factors in the drink’s sustainability. 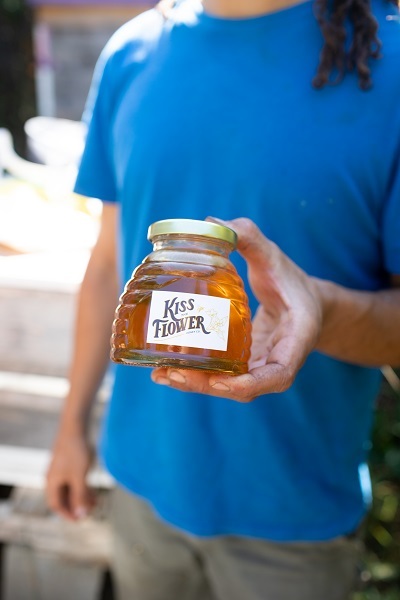 “Honey is a great way to encourage conservation, food production through pollination, and also economic development because of its high value,” says Ayele Solomon, founder of Bee D’Vine, a honey wine company based in Sonoma. 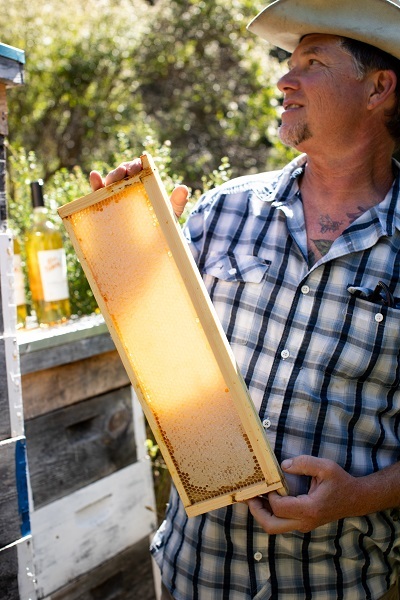 But just how sustainable is honey wine? The UC Davis Agricultural Sustainability Institute defines sustainability as having three factors: environmental health, economic profitability, and social and economic equity. A sustainable farmer needs to minimize pesticide use and water waste, maintain healthy soil for future crops, and pay workers a living wage. For Solomon, also a conservationist, the prospect of saving the rainforest and providing jobs in his home country of Ethiopia led him to begin brewing honey wine. During a 2009 trip to his homeland, Solomon realized that replacing traditional hives with box hives might provide locals with an income beyond selling charcoal produced from felled trees. In his book about the history of honey-based drinks, The Celebrated Story of Honey Wine, Solomon presents the beverage as “the most sustainable libation” because the manufacturing process creates jobs for humans, helps encourage local biodiversity, and does not require large swaths of land for monocrops. 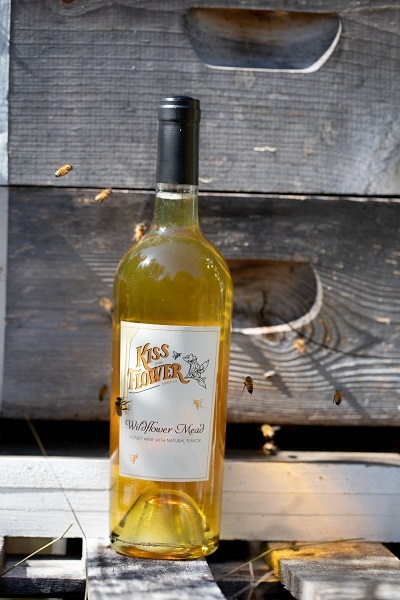 Traces of honey wine, also known as mead, have been found in vessels dating back to 7000 BC. But the honey-based drink has not enjoyed commercial popularity in modern times. T’ej, the honey beverage of Ethiopia and Eritrea, is brewed with a bitter herb, has a deep orange color, and is traditionally served in a bottle that resembles a round-bottomed flask from a chemistry lab. Unlike t’ej, Bee D’Vine, Solomon’s honey wine has a clear, refined color and a dry flavor. 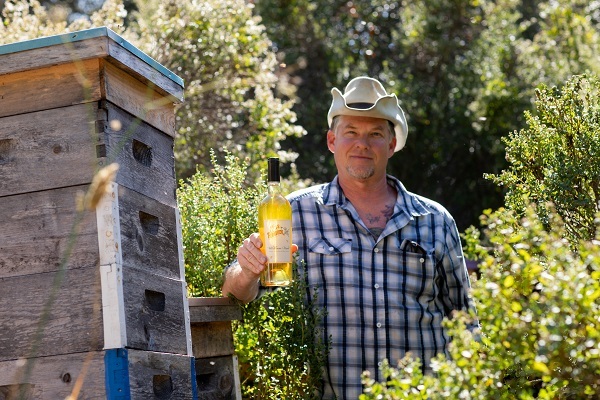 Barker makes a mead in partnership with Spicy Vines, a Healdsburg-based winery. Barker primarily sells raw honey, but released his first batch of mead last year after experimenting with home brews and receiving positive feedback from friends at local farmers markets. Barker often collaborates with organic farmers. 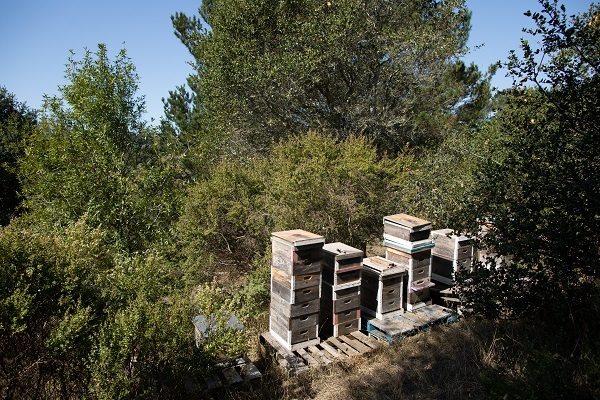 Honey bee populations are a gauge of a place’s ecological diversity, according to Serge Labesque, a local beekeeper and member of the Sonoma County Beekeepers Association. “The bee habitat has been declining in recent years because we are changing the landscape. There are many more people, many more businesses, and more human activity encroaching on wild habitats,” Labesque said. The larger the mixture of pollen-producing plants a region has, the more bees it will support. While there is no legal definition of “sustainability,” the word is commonly invoked and debated in Sonoma County agriculture circles. For instance, the Sonoma County Winegrowers began releasing annual sustainability reports in 2014, challenging wineries to meet a series of ever-increasing requirements with the ultimate goal of becoming the world’s first “sustainable winegrowing region” by 2019. But critics of the report question how well an industry can define what is “sustainable,” since the term doesn’t have a legal meaning like “organic” does. There are multiple definitions to sustainability within the beekeeping community, according to Labesque. 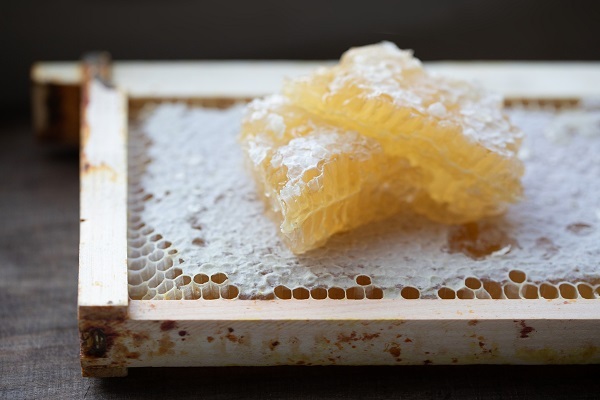 Some keepers say that sustainability involves keeping bees alive in a financially stable fashion, with the use of chemicals as necessary. Other keepers define sustainability as reducing human interference in the hive as much as possible by rearing self-sustaining bees. Beekeepers are a lot like real estate agents. 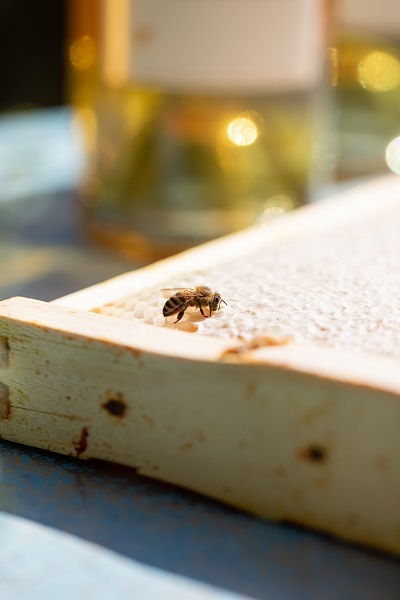 Because bees require blooming flowers throughout the year, the trick to maximizing a hive’s honey production is “location, location, location,” according to Barker. 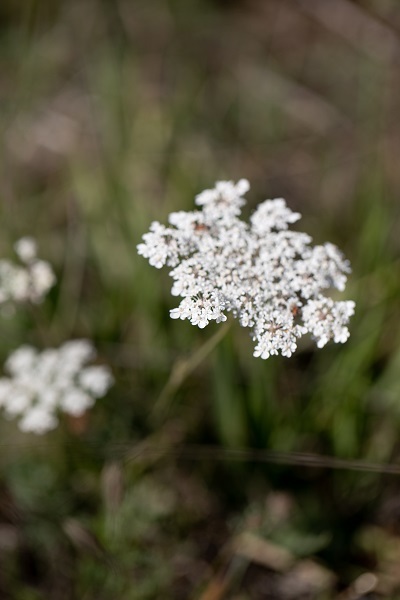 Land with a wide variety of plant life that blooms throughout the year is prime real estate for a beekeeper, but keepers often need to move their hives throughout the year to follow the bloom of different plants. In Sonoma County, blackberry bushes offer lots of nectar between May and June, but, like many plants, give nothing to the bees in the winter. But, unlike Sonoma County realtors drawn to wine country views, beekeepers tend to be wary of housing their bees near vineyards. For bees, living near a modern vineyard is like a human buying a home in a food desert with a pollution problem. Despite regulations that prohibit farmers from spraying pesticides during daylight pollinating hours, the risk of having a colony of honey bees fly into a cloud of Roundup is too great a risk, Barker explains. Grape vines themselves are not hospitable to bees either. Because most contemporary grape vines are self-pollinating, they do not need bees or other pollinators to bear fruit. Still, there are a few wineries that attempt to attract bees as part of their sustainability efforts, according to Labesque. Planting ground cover plants can help to feed bees, keep the vineyard’s soil healthy for years to come, and attract insects that eat vineyard pests. The other factor of sustainability is economic feasibility, a challenge for small-scale beekeepers in a shifting market. The current business model for large commercial beekeepers relies not on honey but on the bees’ other function as pollinators. 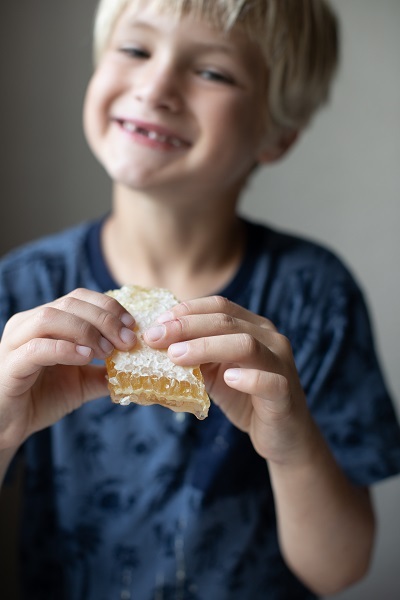 In 2017, there were 369,000 honey colonies consisting of five or more hives in California, Arizona and Hawaii, compared with a total of 1,865,300 colonies used for pollination in the same states, according to the Department of Agriculture. 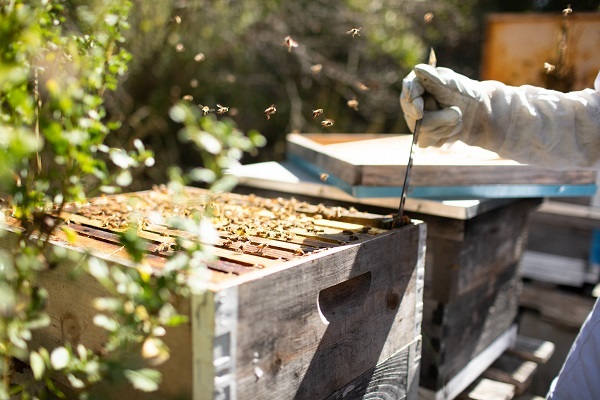 Unlike honey production, commercial pollination tends to cause keepers to lead a nomadic lifestyle, hauling truckloads of hives from one bloom to another. In the winter, when California’s almond trees bloom, keepers from around the country bring their hives to work the flowers. During the 2017 almond pollination season, 1.7 million colonies were shipped into California, according to the California Department of Food and Agriculture. If honey wine becomes the latest craft craze, local beekeepers would have another way to stay afloat.